I am by nature, a sentimentalist. Therefore I resultantly exude a sense of prestigiousness. Being a sentimentalist is important, especially in this study. It takes time for all of us, but the allure of the classics are instantaneous, transportive and in some respects life-changing. Like a sharp prick from a cold hypodermic needle, the affect of visiting a classic may not be upfront; but it’s there, it’s in your system – it’ll get you eventually. Following that thought, I have had my injection and have faced its results. I’m not hungry for new releases per se, I’m interested in uncovering the past and mentally noting the classics. I might seem prestigious, but I’m just chasing time and history – and trying to avoid change, the only constant. Hence came my fixation with Dior’s Eau Sauvage. It has left me enchanted, permanently mesmerised; and now I defend its integrity with all the linguistic power I can muster. If I said Aventus by Creed was the temple, then Eau Sauvage must be the treasure inside. Eau Sauvage is the classic cologne for men. A must own. An immediately pleasing hesperade-citrus, Dior’s Eau Sauvage (made by the masterful Edmond Roudnitska) is a defining masculine cologne. It is uplifting and hints at an immense complexity of notes. For as far and ferocious colognes can go, a wild proposition in itself, this is a relatively untamed fragrance, hence the name “Eau Sauvage” meaning “Wild Water”. Eau Sauvage presents the smell after a hot and steamy shower, with a streak of cleanliness running throughout, and an impression of crisp and supple male skin. Virile is best used to describe the opening, and is like the charm of a dandy living in the shadow of his equally-dandified father. If Shalimar from Guerlain was handed down to adolescent girls, then Eau Sauvage was handed down to adolescent boys along with shaving cream and a virgin shaving brush. Nevertheless, Shalimar and Eau Sauvage could not get any more different from each other; yet they both maintain the quality of perfect balance, and that’s why they’re classics. Eau Sauvage is undeniably crisp in quasi-infamous eau de cologne fashion. Bergamot, lemon and basil mould into an analogous cologne, with the paradigmatic [masculine] vetiver and oakmoss carrying along, giving this scent its masculine edge. Sharp lemon, lavender, caraway, basil and rosemary ultimately makes for a ‘happy’ accord, like a hyper-realistic citrus but still somewhat better than solely a citrus note; a classic case of the sum being better than its parts. Hints of bitterness derive from the lemon whilst jasmine and sandalwood acts as a fixative. Touches of dewey rose, crisp coriander seed and warm amber makes the fragrance buttery and fluid. The resonance from the jasmine flower and the creaminess of oakmoss gives dimension to this masculine ruggedness. Petitgrain is green and woody, slightly bitter and offshoots these qualities to give equilibrium. This fragrance of like salty skin without the aquatic connotations. On that note, there’s a slight feeling of gluttony and shame when joy from fragrance is achieved so easily. 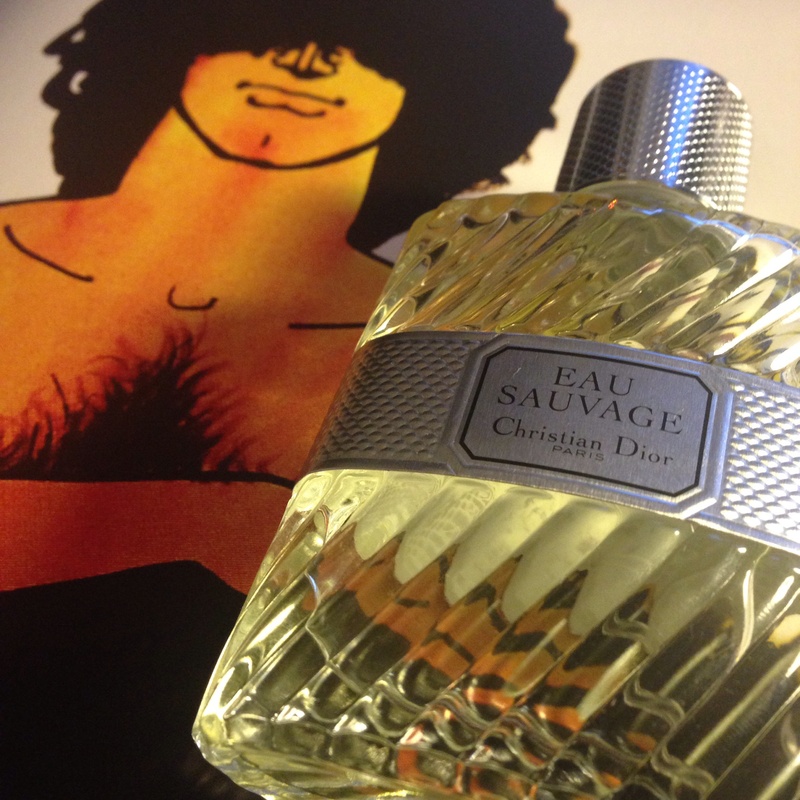 Sometimes it feels cheap and sordid – yet Eau Sauvage is a double-edged sword. Artistic splendour, particularly meritorious, and just clean indulgence with the ‘eyes rolling at the back of the head’ response and gleeful expressions of joy. In the end, Eau Sauvage is like a dim lightbulb. Roudnitska’s creation is resplendent and somewhat self-luminescent. A feat in fragrances leading away from simplicity and towards the transparent pulsations typical in avant-garde creations; a matter in which certainly ‘more than meets the nose’. For example, the vetiver and the coumarin complexities are always there, but why don’t they project out more? There’s a welcome added dimension of space with Eau Sauvage, as if all the notes and accords are allowed to breathe without constriction. It’s a slow transposition within one sole inhalation. First sour and then bitter citruses and herbs, calm florals, damp woods, fougere-undertones, warm amber and coumarin, and finally a creamy fleck of sandalwood and oakmoss at the end of this one inhalation. No wonder this is still [48 years on] a popular fragrance. 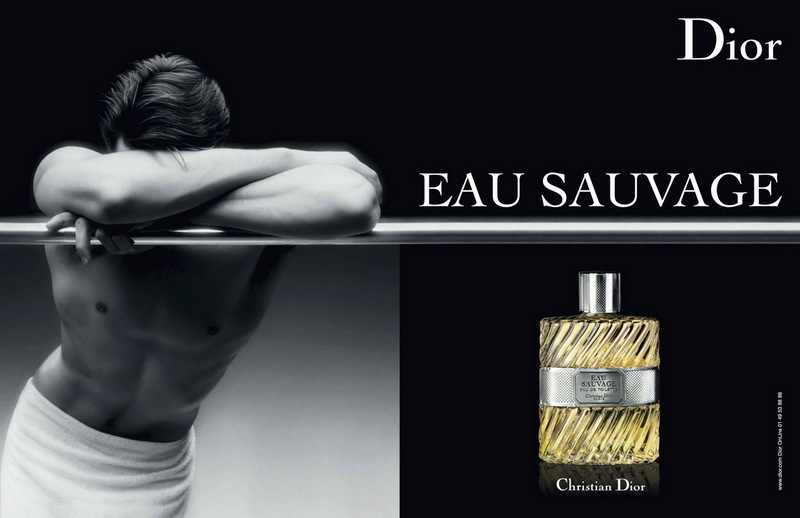 The man your man should smell like, is Eau Sauvage. Warm and salty skin and tastefully virile. This entry was posted in Dior and tagged Dior, Eau Sauvage, Fragrance, fragrance review, Perfume, Review. Bookmark the permalink. Pгetty! Ƭhis has been ann extremely wonderful article. Many thanks foг providing these details. The vintage ad campaigns are as wonderful as the fragrance itself. Thank you so much for this! Finally my feelings about Eau Sauvage have been put into words. Since 1987 ES and Eau Sauvage Extreme have been my signature fragrances. The latter works with my body chemistry the best. Love this piece! Thanks again.